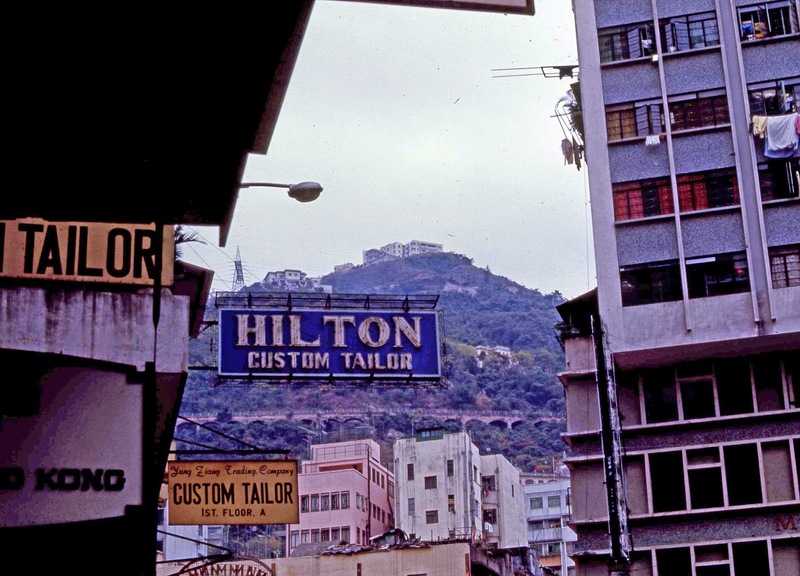 These are the last of the photos from my Uncle's slides of his trip to Hong Kong in 1969 while on leave from the war in Vietnam. 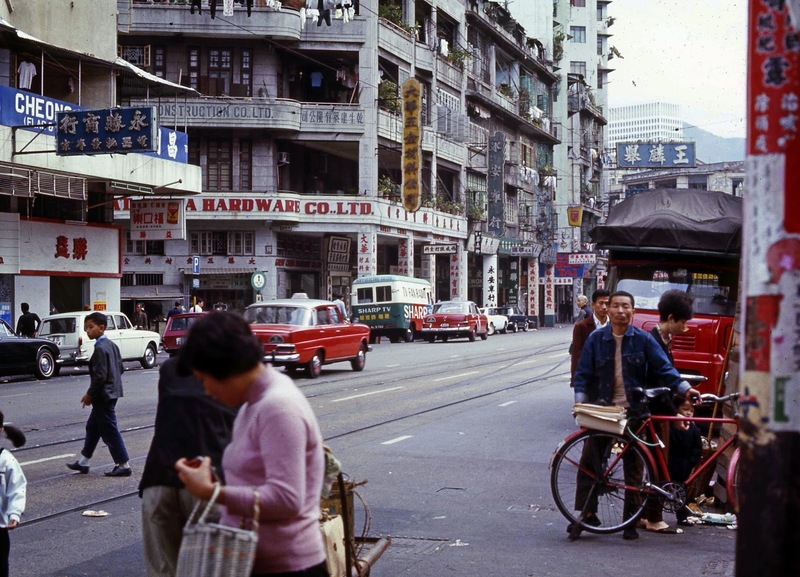 Check out the first set of 1960s Hong Kong photos. 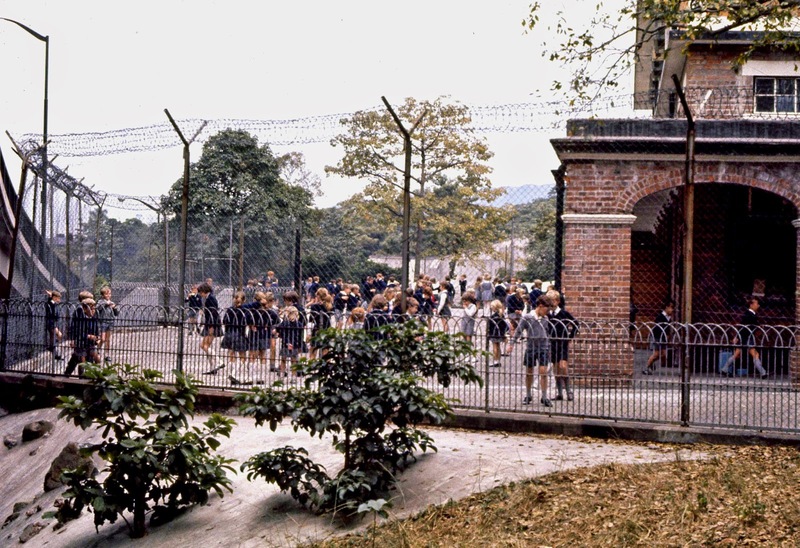 His adventures take us from primitive boat dwellings, to the then 80 year old Hong Kong Peak Tram, to a modern school surrounded by barbed wire. They are a snapshot in time of the people of Hong Kong going about their daily lives. I love that every time I look at these photos I see details that I missed upon first glance. I only wish there were more, but unfortunately this is the last of the roll. The next photos (which I hope to post soon) are of Vietnam. 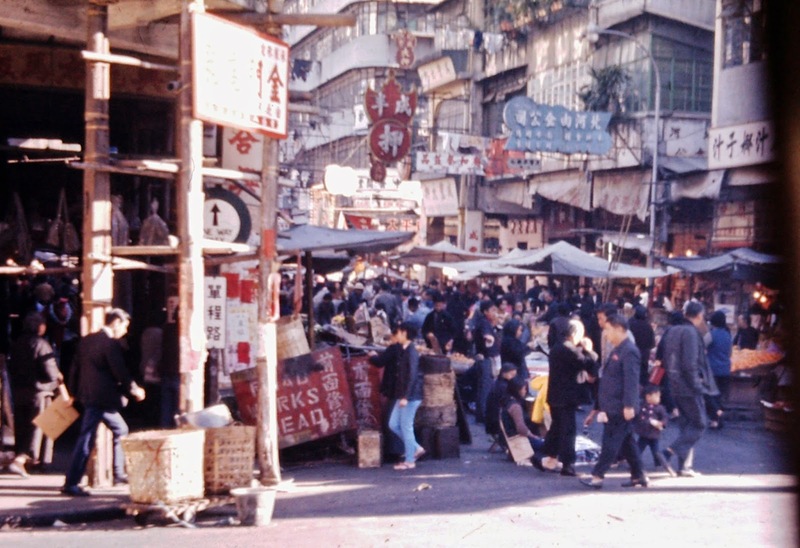 Originally called Hong Kong Harbour it was renamed Victoria Harbour after Queen Victoria. 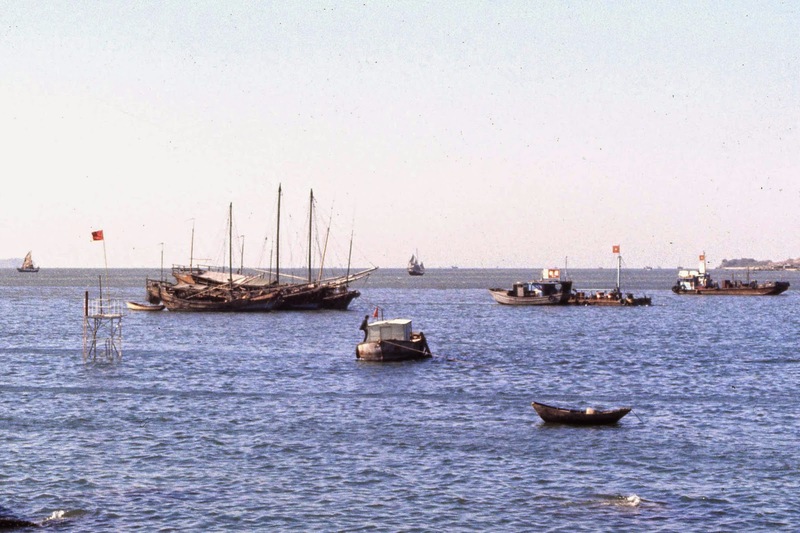 Boat dwellings (also called junks) of "on-water people"or "Nam Hoi Yan"formerly called Tanka but that is now considered a derogatory term. Close up of the picture above. 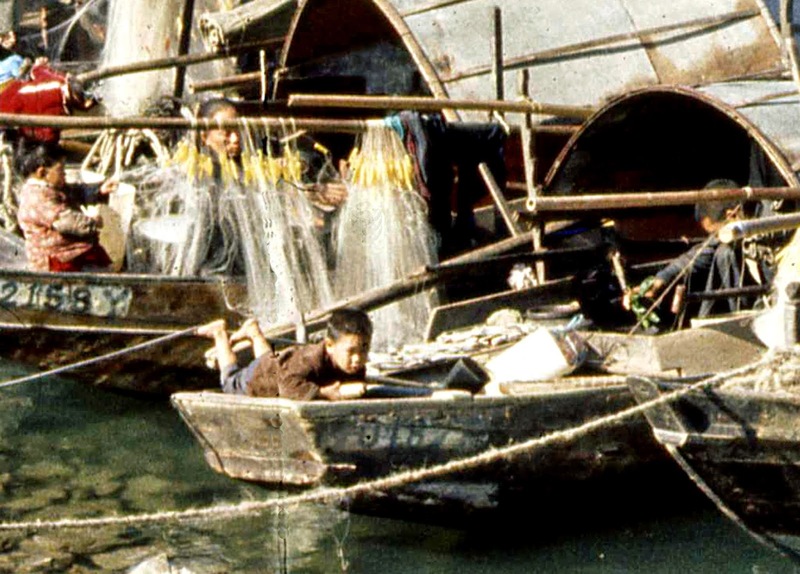 I looked at this photo dozens of times before seeing the families on the boats going about their daily lives. 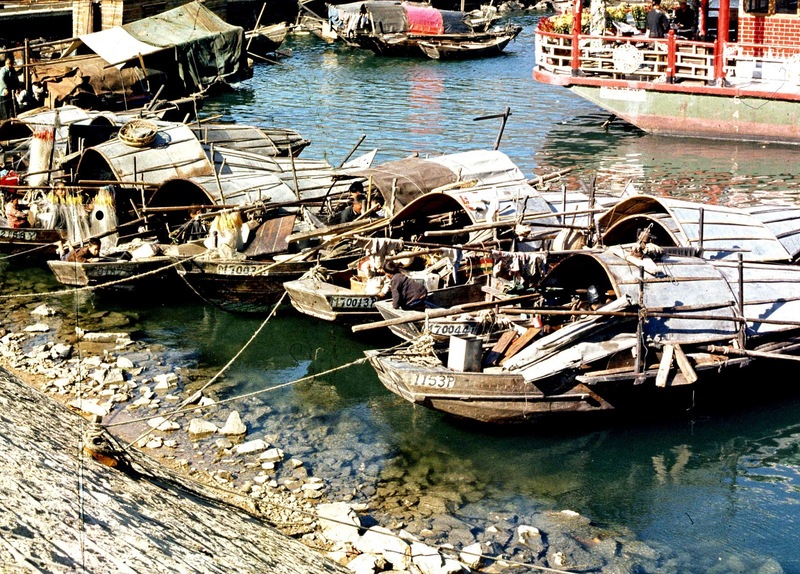 It's been described that the "on-water people" have lived on junks in Hong Kong "since time unknown." Rice paddies. Maybe viewed from the tram? 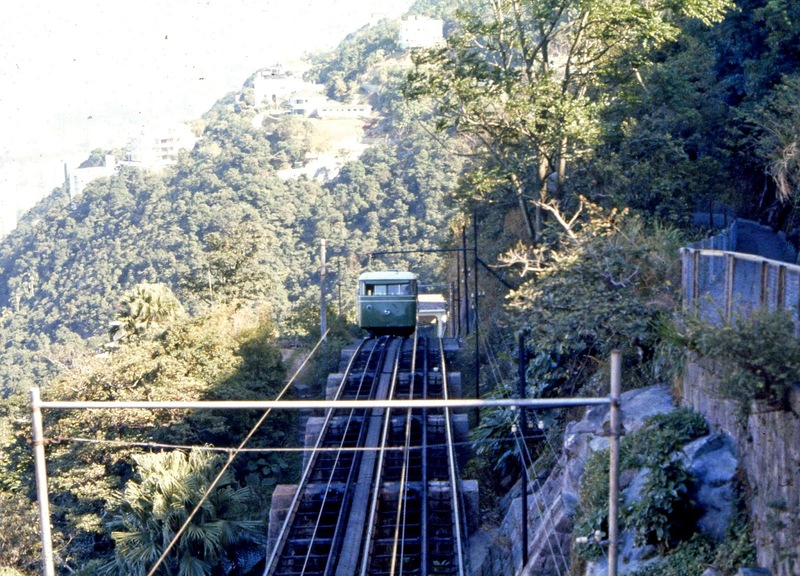 UPDATE: This picture has been identified in blog comments as Lok Ma Chau, the Hong Kong/China border. 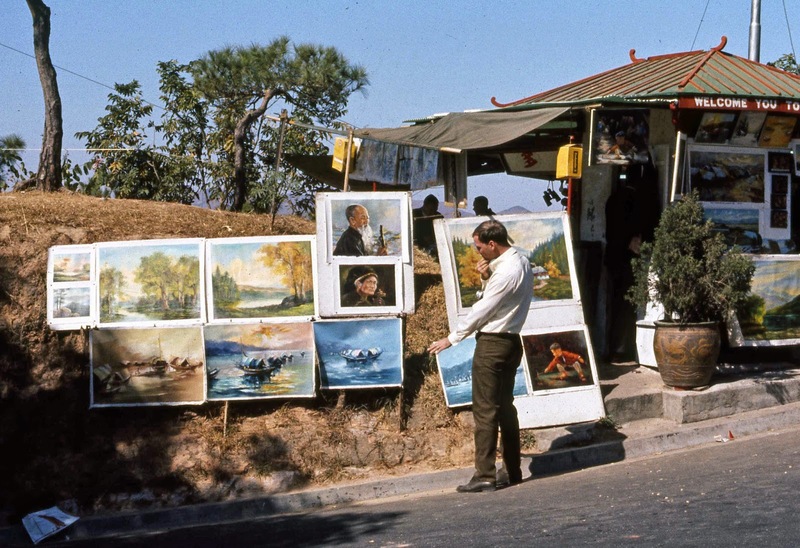 Paintings for sale by the side of the road, I wonder if Mr. Brown Pants buys one or is just posing for the camera. 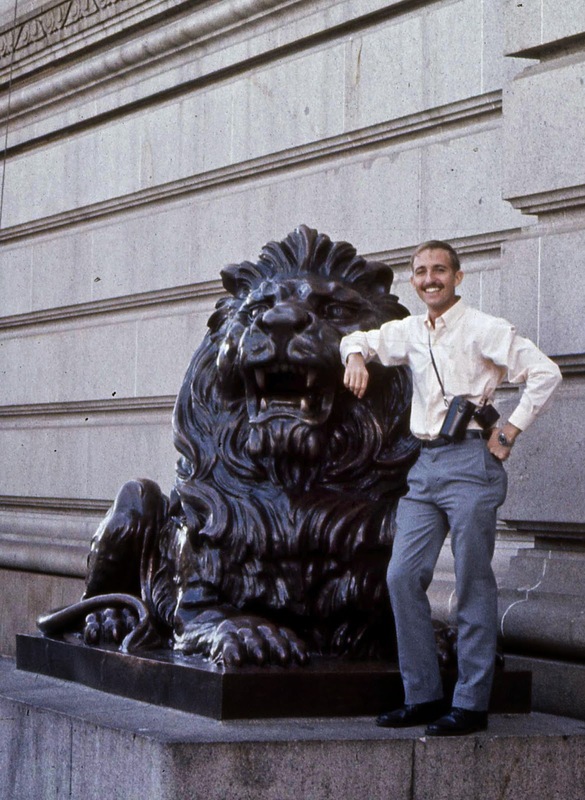 UPDATE: This picture has been identified in blog comments as Lok Ma Chau, the Hong Kong/China border. Mercedes & green double-decker buses bearing Hitachi tv ads. Bus transport in Hong Kong was started in the 1920s. 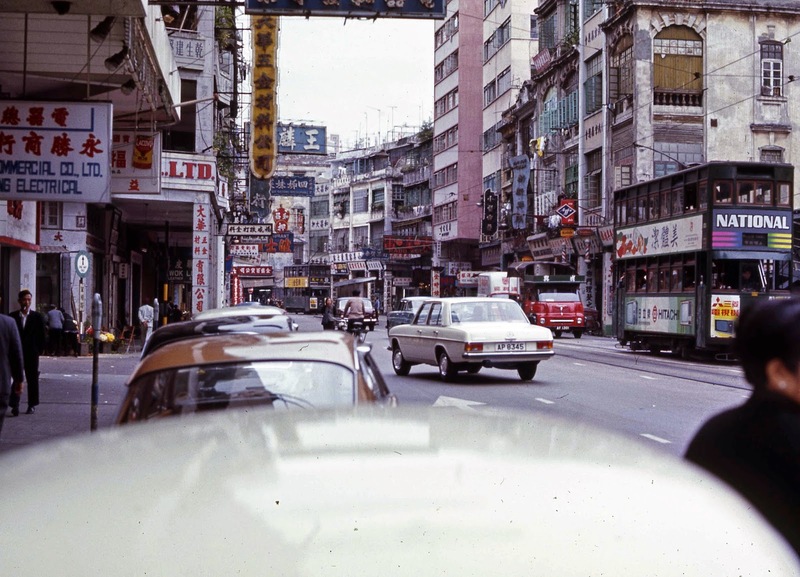 In the 60s European cars were used as taxis in Hong Kong. I think what's pictured here are Mercedes W120 Pontons. It must have been odd for my uncle who grew up on a farm with no fences to see school children behind barbed wire. Woot! I was so happy to see more were added. Great set! 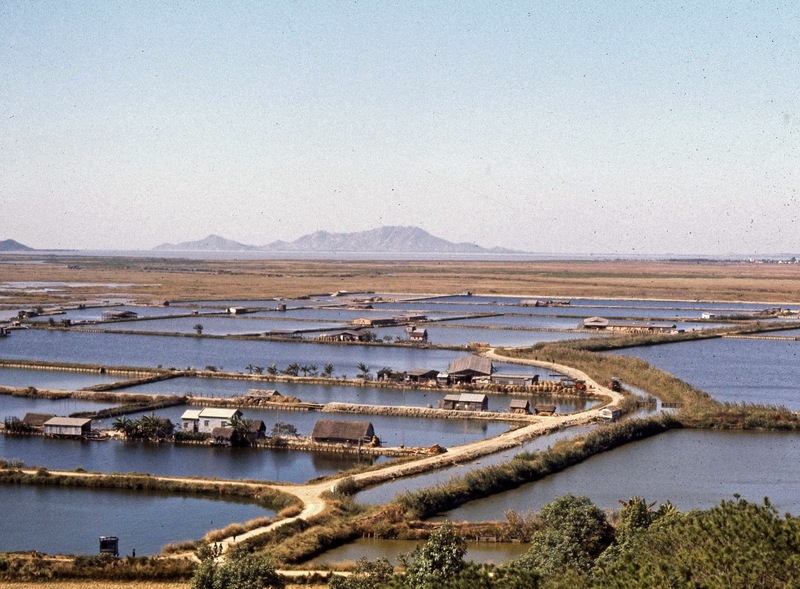 Rice Paddies and the one selling paintings should be at Lok Ma Chau, the HK/China border.